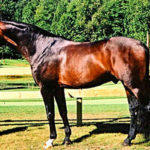 Westporte is a 16.3hh imported Hanoverian by Wolkentanz out of St. Pr. Farah by Fabriano. 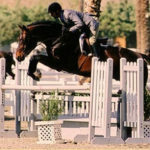 He obtained his 2 year Hanoverian breeding license in Germany based on his movement, jumping ability and conformation. He is approved with the Oldenburg N. A. / ISR and Canadian Sport Horse Association, Rheinland Pfalz Saar (RPSI) and Canadian Warmblood. 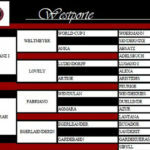 Westporte is nominated for the International Hunter Futurity. He is a premium stallion with the Oldenburg N. A. and was champion of his CSHA licensing with an overall score of 92.5%. 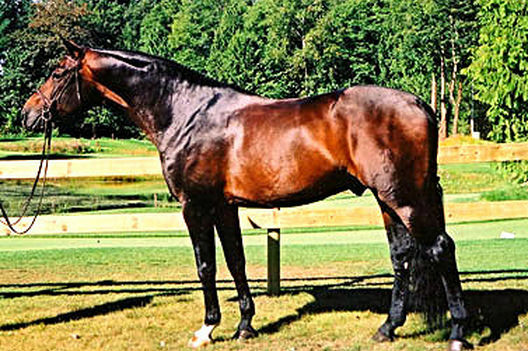 Westporte currently holds the highest score ever given to a stallion from the Canadian Sport horse Association since their incorporation in 1926. He has been shown in the professional and amateur hunter divisions. He consistently places in the top 3 over fences and under saddle in the Conformation and working divisions at AA rated shows. 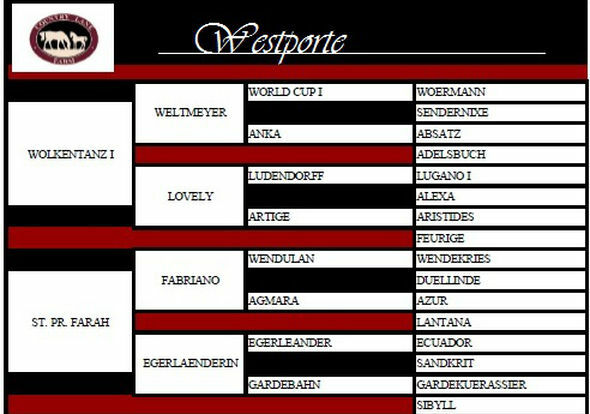 Westporte was awarded horse of the year for USEF zone 9. 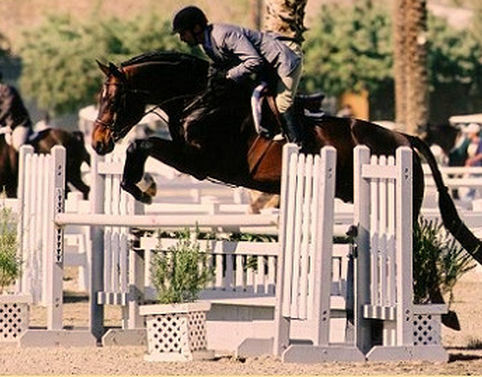 2007 he was mid-circuit champion Green Conformation hunter and reserve AA 18-35 in Thermal California. He has been champion at every major show on the West Coast in the professional and amateur divisions. Westporte’s first foal crop arrived in 2004. His foals show their sires good work ethic, temperament in their training and aptitude to the top level Hunter ring. He consistently stamps his foals with his wonderful amateur friendly temperament, correct conformation and fabulous movement. 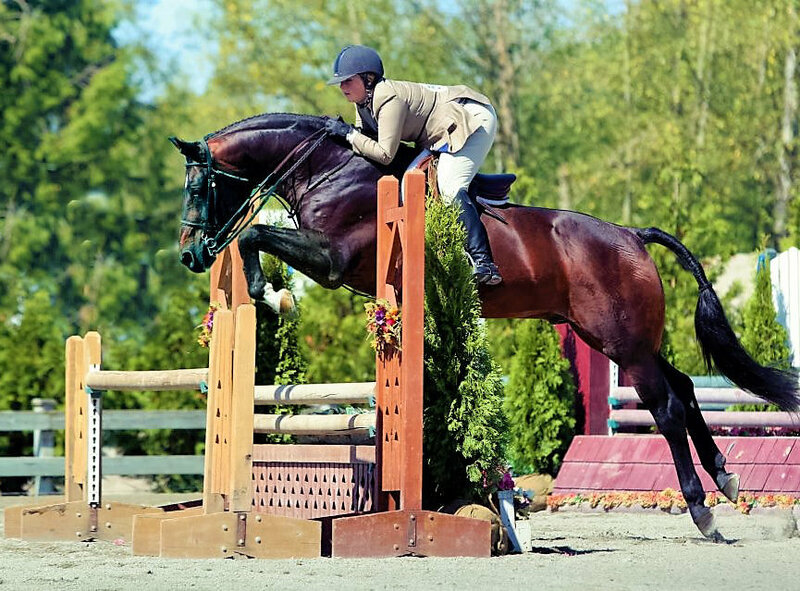 Westporte has sired multiple line champions including Best Young Horse at Devon, Upperville, Warrenton, The Royal Winter Fair and the International Hunter Futurity Finals. West Bay, West Hampton, Wi Dance Again, Mae West, West Sun, West Ridge, West Field, W. Porto Fino, Walencio, Walencia, West Lane, Porto Rico, and Port O Call are some. Westporte has been named Sire of the year at the IHF East Coast finals in KY and Warrenton. His foals have continued their success under saddle winning championships all over Canada and the US at the most competitive venues and classes. 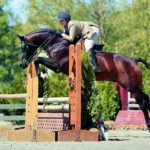 He is emerging as a top sire of international Hunter derby winners due to the bravery and aptitude for the hunter ring. His foals are easy enough for amateurs and competitive for professionals alike.